Lightroom is well recognized as one of the top rated photo management apps that supports image management along with easy processing. But there are few reasons why it is not suitable for all users. The biggest cause is its heavy price that does not suit the beginners. Some users also wish to move to other alternatives in search of some specific features that are missing in Lightroom. Or another common reason may be that the workflow of Lightroom cannot meet your general work requirements. Irrespective of any of these reasons, if you are planning to shift to any other platform, below are few potential alternatives that you can choose. Some of these apps are available for free and others include paid versions. Few advanced tools also integrate the photo processing and photo management abilities same as Lightroom CC. In simple words, each platform has its own pros and cons; so you can go through the details below to select the most suitable solution for your needs. Lightroom is also helpful for you to manage the photos on the free image source, and it'll help you to get the work done easily. If you are confusing about the differences between Lightroom and Lightroom Classic, have a look at Lightroom Classic CC or Lightroom CC: Which Version is Right for You? Before we get started, if you are new to photo editing and need a easy-to-use yet powerful enough photo editor to start with, while, we recommend you to try Wondershare Fotophire. Have a look at the video below to check what Fotophire can do for you. Besides the powerful photo editor, Fotophire also provides an easy-to-use slideshow maker program named Fotophire Slideshow Maker to help you make a photo & video slideshow with easy steps. The program also offers 26 templates to make your slideshow more attractive. RawTherapee is considered as a hi-tech open source alternative to the raw image processing needs. Once processed, you can send those images directly to your preferred photo editing tool. This app is known for its non-destructive photo editing abilities; it means users can get back the original file anytime. This image process toolkit is loaded with so many advanced capabilities that allow easy adjustment for noise, sharpness, colors, and exposure. The multicore support system of RawTherapee makes it able to access all hardware effectively and the de-mosaicing algorithms are helpful to reduce the artifacts of converted images. As soon as you finish the image processing task, the results can be saved for future needs. The great news is that RawTherapee allows users to process batch images to complete the editing task fast. Here is another non-destructive, open source solution to Lightroom. In order to download this app to your device, you have to sign in. As soon as you are logged into the LightZone platform, you can start processing your raw files. Other than this it also supports TIFF and JPG image processing. This app contains a series of filters that can be stacked by uses to get desired results on images. It is possible to rearrange several effects to get customized effects on photos. LightZone also enables users to work on specific areas of the image with the specially designed vector based selection tool. No need to worry about the account creation process as it is available for free and takes just a few seconds. 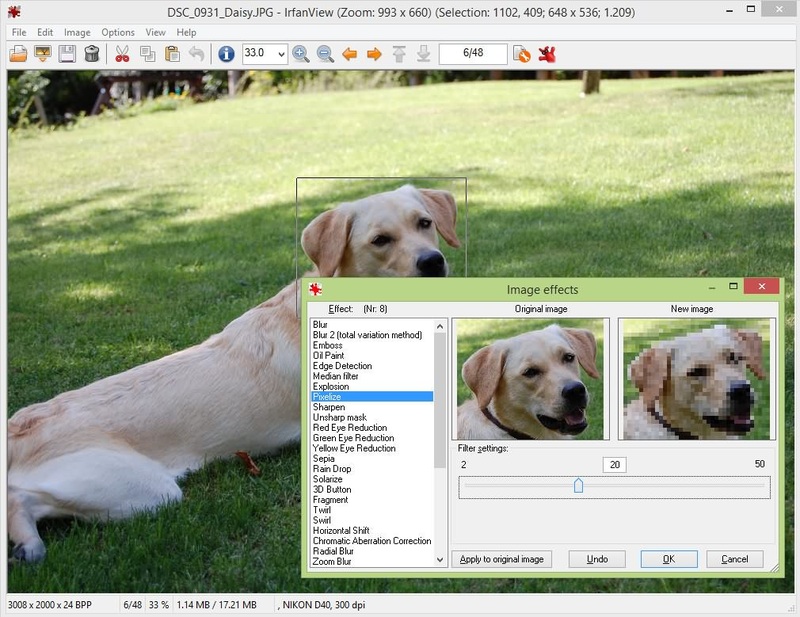 The InfanView is a popular organizer and image editor tool that extends support to compressed as well as raw image file formats. Although this interface does not appear user-friendly as like Lightroom but most of the professional photographers find it useful for their routine needs. The designers are working since last 20 years to enhance its abilities and it offers a wide range of features to make editing task quite easier. This software tool comes with a variety of free tools that allow users to add tags, rename image files in batches and can also assist in editing metadata. The raw image processing tools of IrfanView are quite impressive and they allow users to adjust colors and tonality for individual images. Once the editing task is over you can transfer your images directly to a new photo editing platform such as GIMP. Professionals find it the coolest replacement for Lightroom but the only big trouble with this app is its very high price tag. You have to pay $299 to gain access to this app so it is recommended to serious hobbyists only. If we talk about features, Capture One Pro can receive the top rating with its advanced abilities. It extends support to more than 400 cameras to process raw image files and there are several professionals level functions to improve the processing results. One can also access the live view feature and tethered shooting support. This app works perfectly on Mac and Windows platforms but before making heavy payment to get its professional version, prefer to spend some time on the trial version. If you are not ready to make heavy payments for Capture One Pro, another alternative is DarkTable. The great news is that it is available for free as an open source image processing tool. There are so many decent editing features along with simple assent management features. The raw image support is extended to more than 400 cameras and it appears quite satisfying for most of the users. You will find lots of tools on this platform that are same as that of Lightroom and can assist you to make easy adjustments for images. The only trouble with this image processing app is that it does not have a much interactive interface. You can access DarkTable app for Linux and Mac platform; however, the Window version is under development phase. If you need a professional level image editing app that can compete with the impressive features of Lightroom and Capture One Pro, it is good to look for DxO OpticsPro. This app lacks asset management abilities but it works perfectly with the Apple’s Photo App and Lightroom platform. Some professionals also prefer to integrate it with Adobe Bridge. The user interface is rated high for its intuitive design and the basic editing features are same as that of Lightroom. Another great feature of DxO is its noise reduction ability. The only drawback is that it does not allow users to carry local adjustments for the images and the raw image support is limited up to 250 cameras only. This app has recently joined the competition in the market but it has the ability to combine the impressive features of Lightroom. Professionals rate it best for its efficient organizing abilities and the Raw support. This platform also collects few capabilities from Photoshop such as the layer support feature. It means you can composite different images together; not that, this feature is otherwise missing in Lightroom. People find it fast and intuitive enough with so many strengths to handle local adjustments. It can also handle the filters and effects with ease. But the only trouble is that the interface appears little cluttered, probably due to too many features added to this platform. Prefer to work on its free trial before investing a huge amount of $119 on pro version. If you need a Raw image processor for your Windows platform, ACDSee is the best choice with lots of advanced features. It copies several essential features from Adobe’s app to assist users with advanced editing capabilities. This tool will help you to manage several organizing tools along with comprehensive cataloging. The great news is that it can handle RAW image files from around 500 cameras. The Liquify tool can further help you to retouch your photos by moving different pixel groups. The free trial is available and the pro version can be accessed with payment of $99 only. This recently developed raw image processing software has lots of impressive features in its powerful work environment. It can assist professionals with several advanced editing tools. The original version of this tool was designed for Mac devices only but the developers have now created the Window version as well. Affinity Photo can help you to enjoy several professional level editing features such as 360-degree image editing, digital painting, PSD editing, Focus stacking, panorama stitching as well as professional retouching. It is also possible to process multiple images at a time and the multi-layer compositions are also supported. Last but not the least; we are mentioning Apple Photos and Google Photos that serve as effective alternatives to Lightroom. Apple Photos is capable enough to handle photo management needs and some recent additions to this app are tone curve feature and definition slider. On the other side, Google Photos is rated high for its awesome processing abilities. It works with advanced machine learning algorithms of Google but offers limited support to the RAW files. 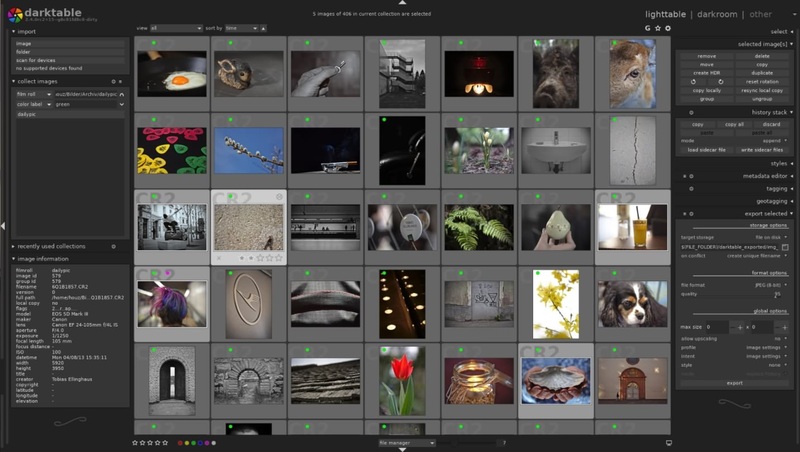 This tool can help you better to organize shots as it can easily identify your collection. The cloud-based storage is enough to save several clicks from your camera. There is no doubt to say that Lightroom is always the best app with loads of interactive features and it can always provide you best results. Still, we cannot overlook the competitive platforms. Users need to make heavy payments to use Lightroom but if you are not ready to pay for any subscription it is good to look for other fantastic options available in the market that are available for free. While making a selection for your Lightroom alternative, always make sure that you are choosing a platform that can process RAW images perfectly. All apps cannot ensure good results in this context; however, few can provide satisfactory results with selected camera types. The best idea is to download the trial version of available alternatives and check if they suit your needs. Observe if they are suitable for your workflow and show perfect compatibility with your device. If you have tried any of these Lightroom alternatives or worked on anyone that is not available on this list, never forget to share your experiences in comments below. Learn more details about remove unwanted objects from photos in Lightroom Classic CC and Blur Photo Backgrounds in Lightroom Classic CC.